Our ocean, coasts, and Great Lakes are imperative to the health of the planet and the living things that call it home. 97 percent of Earth’s water supply is contained in the ocean, 30 percent of manmade carbon dioxide is absorbed by it and 70 percent of the oxygen we breathe is produced by marine plants. Despite its importance, our planet’s waterways face numerous and diverse challenges from plastic pollution and oil spills to acidification and sea level rise, which is why it is in dire need of advocates to give our ocean, coasts, and Great Lakes a voice and protect it. 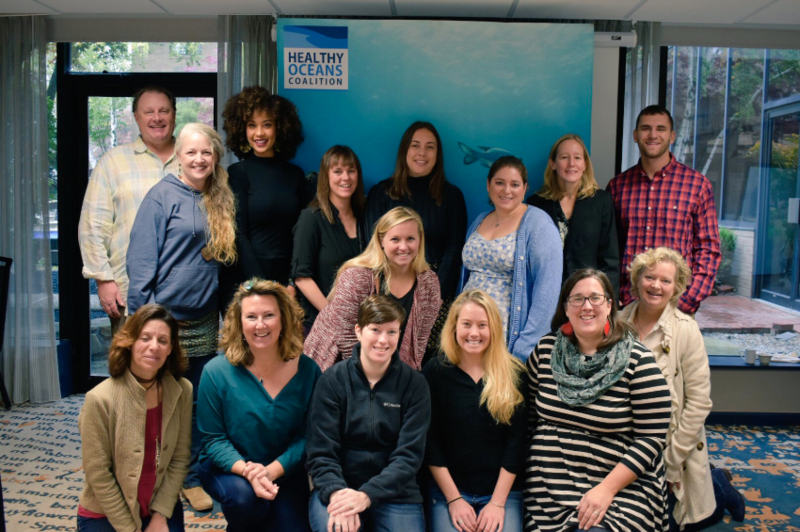 From October 22-24, 15 members of the Healthy Oceans Coalition (HOC) congregated in Plymouth, Ma. to expand their knowledge of the most pressing issues facing federal and regional ocean, coast, and Great Lakes management and hone their advocacy skills. By working to foster strong advocates, this training serves as a welcome opportunity for the HOC to move toward its ultimate goal of an America whose stewardship ensures that the ocean, coasts, and Great Lakes are healthy and resilient, safe and productive, and understood and treasured for generations to come. Outside of the training hours, the group made valuable connections over some of the finest fare Plymouth has to offer, learning about the town's iconic history, enjoying the maritime culture, salty sea air and other walkable sights that the quaint town boasts. Missed this event? The HOC will hold another advocacy training in the spring. Contact Jenna Valente at j.valente@littoralsocety.org for more information about how to get involved in HOC functions, actions, and initiatives. This website is funded by the Gordon and Betty Moore Foundation and the American Littoral Society. © 2019 Healthy Oceans Coalition.